Hi everyone! I’m Lucky Jamieson. I guess if you’ve visited Snowflake, Vermont, you know all about me and the By the Spoonful Soup Shop. I spent most of my younger years trying to escape to the big city, but when my parents were killed in a car crash on an icy road, I came home. It was a tough time, especially since I learned I had inherited my parents’ soup shop. I was nervous about taking over their business and agonized a lot over whether I had made the right decision. You might not know this, but in A Spoonful of Murder, the body of a winter tourist was discovered behind our restaurant. She had been bludgeoned to death and was found frozen in a snow bank. Our fabulous chef was arrested for the murder and then, well, our business almost went belly up. People stayed away like we had the plague. We were the focus of a lot of bad publicity, and my grandfather Jack’s health began to suffer. It was a tough time indeed! There were a couple of good things that happened that winter though. I was able to reconnect with my best friend from childhood, Sophie Colgan. Sophie had been angry that I left town and went off to college but we were able to make up and are now really close. I started seeing Elias Scott, our handsome town doctor. Elias was my big crush when I was young, but the age difference between us then was too great. Now that I’m older, well, almost thirty now, but old enough, Elias took an interest in me. Snowflake is a very peaceful village . . . normally. But in the second book about our town, A Broth of Betrayal, murder came calling again. And this April, you can read more about all of us in A Roux of Revenge. I wonder now why I ever left. I couldn’t be happier to be home again, running the soup shop with my grandfather and our fabulous chef. I hope if you decide to visit Snowflake, you’ll stop in at the By the Spoonful Soup Shop and say ‘hi’ to me and all our regulars. We have the best food in town – not to mention a lot of mysteries, excitement and thrills. I haven't read any of your books but plan to do so. Are soup recipes included? We like to have soups during the winter months. Among our favorites are Chicken Noodle, chili and a Beef potato soup. I also make ham and bean soup when I can get some decent smoked ham hocks with lots of meat on them. Hi Dianne! I'm a definite soup lover! I could live on soup through the cool months. And yes, every book has recipes, I hope you get to try them and enjoy the mysteries too! Delighted that you've joined us here at Killer Characters, Lucky! And thanks for posting my comment, Linda. Thanks so much to everyone for the great welcome! I really like Lucky and can't wait to see how things are going in Snowflake. 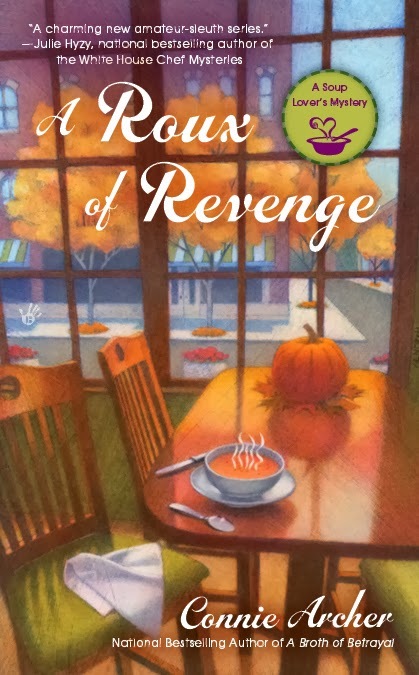 Hi Susie - A clan of travelers arrives at Halloween in a Roux of Revenge. I wish Roux was out now, it's the right season. I hope you enjoy your visits to Snowflake! Definitely, Amy! Check Melissa's Mochas Mysteries and More, she's planning a pet blog too. Never have read any of your books but will be looking for them in the store noe. Thank you! I really hope you enjoy all the characters in Snowflake and all their adventures. And I'm so glad to have the opportunity to join with so many terrific writers and connect with new readers. I have loved every book in this series and looking forward to getting the latest one. WE vacation in Vermont, so I really enjoy books with a Northern location. Such a cute blog post today. Thank you for the great reading entertainment. Thanks for stopping by! 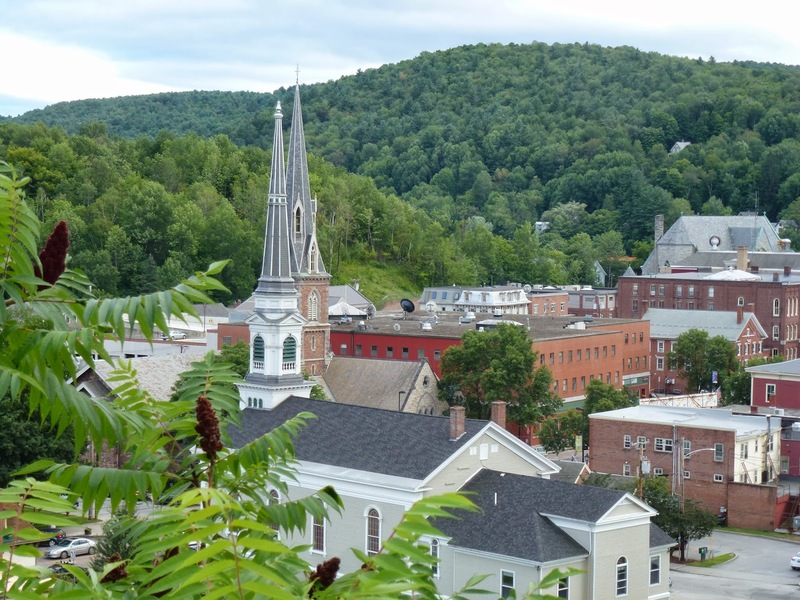 It's great to hear from someone who loves this series and loves Vermont. I think there is something magical about that state. The music to Moonlight in Vermont is running thru my head right now! Hi Hayley - Thanks for the welcome! This is such a great group and I'm excited to be part of it! Adding a new series to my wishlist :) Thanks for this post Connie.